The Philippines is tapping its huge carbon stock potential from its ocean’s seagrasses as it has one of world’s longest coastlines that may sequester significant pollutant CO2 from fossil fuel-run vehicles. The Ecosystems Research and Development Bureau (ERDB), thru the leadership of Dr. Sofio B. Quintana, has embarked on a basic research on carbon sequestration potential of seagrass beds. It was found out that a 50-hectare seagrass meadow in Lian, Batangas can capture 97 megagrams of carbon dioxide (CO2) equivalent to the annual emission of 20 cars. The blue carbon study likewise involves identification of seagrass species that have high carbon sequestration capacity to offset emissions. The Philippines was identified by WorldAtlas.com to have sixth largest coastlines in the world with 36,289 kilometers– being an archipelago. In relation to this, ERDB, as the research arm of the Department of Environment and Natural Resources, is conducting blue carbon study in other sites—Alabat Island, Quezon; Coron, Palawan; Catanauan, Quezon; and Masinloc, Zambales. Seagrass beds in the three study sites: 1) Masinloc, Zambales, 2) Coron, Palawan; and 3) Alabat, Quezon. “We’re just waiting for the complete plant tissue carbon content datasets for us to estimate the captured CO2 in other study sites,” Padin said. 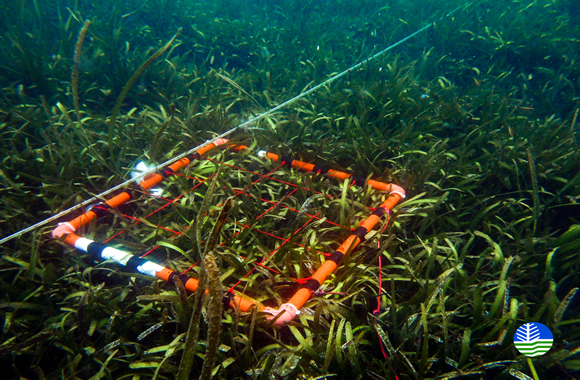 Presently, the Philippines do not have any mature technology on seagrass rehabilitation. Padin said that seagrass transplantation studies have been conducted in the 1990s by academic research institutions in the country, but those undertakings might have gained little success. “Seagrasses occur in shallow tidal flats, where they are exposed during low tides. Some species can grow down to depths of 12 to 60 meters” he said. Seagrasses are sometimes found growing together with corals –making up coastal resources that have huge ecological value in preventing coastal erosion, breaking the “power of the waves during storms, tsunamis” (WWF). These also enhance biodiversity, being habitat of several species that are important to fisheries. Aside from income generation from fisheries, these coastal resources have economic value in tourism and medical raw materials. As part of enhancing Philippines’ coastal resources, ERDB is also providing basic knowledge for government on the coral reef status within the Manila Bay Area (MBA). “People say there are no more corals in MBA, but the recent coastal resource map of NAMRIA tells us that corals can still be found in Naic (Cavite), and Corregidor (Bataan). 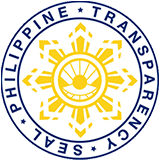 We just completed validation of corals in Maragondon (Cavite) and Ternate (Cavite),” Padin said. The coastal area of Cavite has nearly 290 hectares of coral reefs and ERDB is currently determining the percentage of living corals and population of other organisms in those reefs.